Teamplay for up to 6 players, ages 12+. Playing time: 30 minutes. 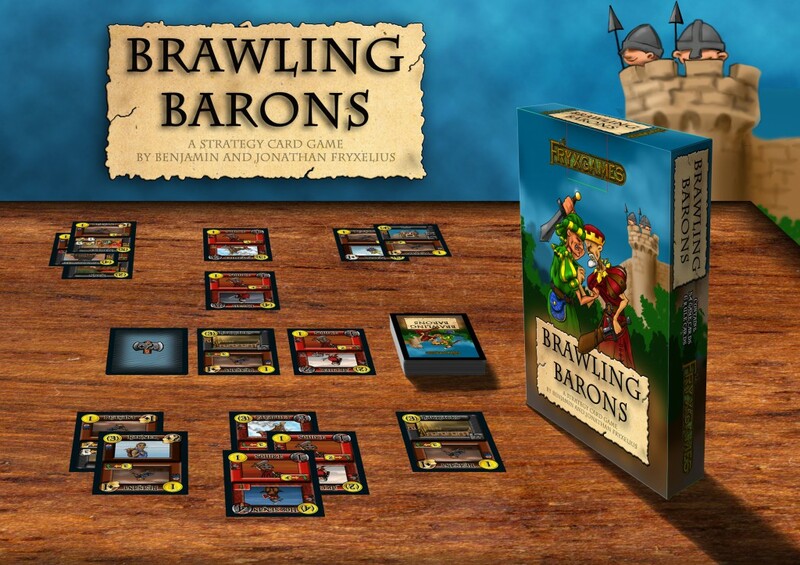 Brawling Barons is a strategy card game consisting of 54 cards. From this deck of cards each player draws cards and collects resources. 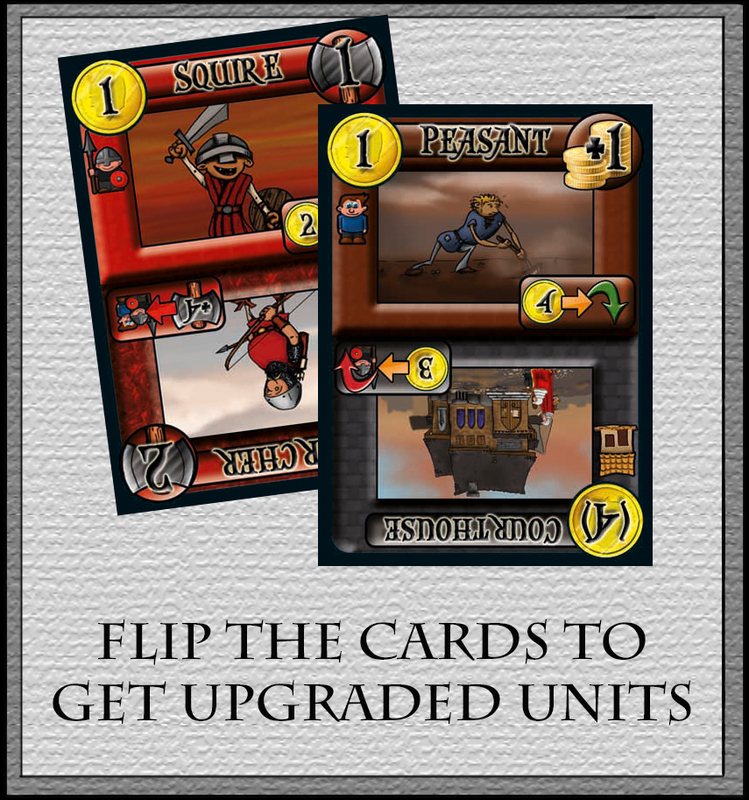 Units (peasants and squires) can then be played from the hand. The peasants can be upgraded (rotated) to buildings, and squires can become various military units. The military units can be sent to the frontlines to gain Victory Points, or they can attack opposing towns. When the last card is removed from the deck, the game ends and Victory Points are counted. Strategic options include choosing units to play, waiting for the perfect timing to play them, optimizing the actions and playing the right events. At first glance, it may seem too simple, but new depths can certainly be discovered. 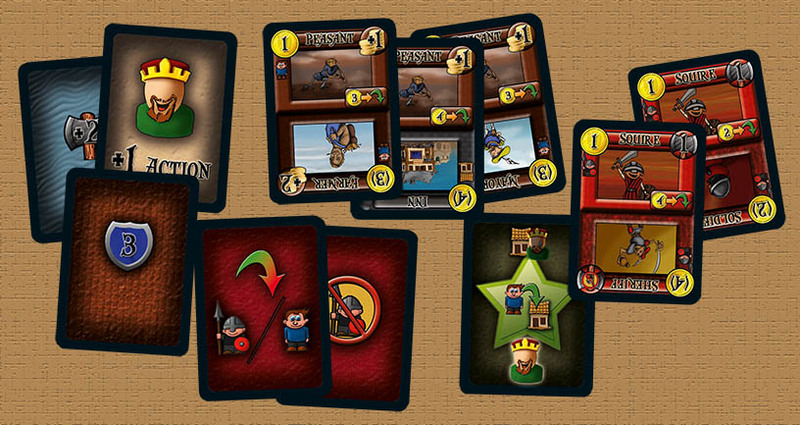 Visit Brawling Barons on BoardGameGeek to see more, rate and comment.